Five things you need to know before taking a domestic flight in Korea. Planning ahead and packing properly can help make your travel experience as easy as possible at the airport. As well as this, domestic flights are a usually quite different to international ones. Here are useful tips and baggage guidelines to use when boarding a domestic flight in Korea. 1. Are you able to bring liquids in your carry on baggage? While carry-on liquids over 100ml are strictly prohibited when traveling internationally, you are allowed to carry up to a maximum of 2L (including alcohol) when traveling domestically. In addition, baby food and medications are allowed if you inform screening officials about the items in advance at the checkpoints. 2. What do you need to know to board a plane with a baby? In general, in Korea, if your child is under two years old (24 months), you're not required to purchase a separate seat for him or her when traveling domestically. On the other hand, for international flights, you should pay 10 percent of your air fare. Everyone who enters an airport, including babies, needs to show some form of ID. The valid ID for your child can be a passport, a certified copy of resident registration, or family-relation certificate which includes the birth year and age of your child. In the case of domestic flights, one of either a foldable stroller, cradle, or car seat is allowed as your check in baggage. Each individual airline may have its own regulations when it comes to bringing your baby on a flight so make sure you check what is required in advance! 3. What kind of ID should you bring to board a domestic flight? Adult passengers must have valid identification at the airport checkpoint in order to travel. Until now, if you did not bring a valid ID, you were able to board the plane since police at the airport certified your identification. However, since July 1 this year, any traveler without ID is not allowed to board the plane. 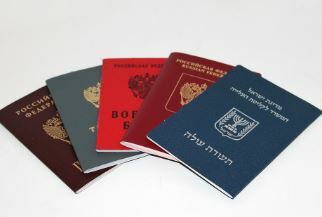 On domestic flights, it isn’t necessary to bring your passport. In fact, your ARC card, driver’s license, passport, or government-issued welfare card are all valid forms of identification. 4. Can you bring your pets on a domestic flight? The policy regarding traveling with pets on most domestic airliners in Korea is that you can travel with your pet as a carry-on if it weighs under 5kg and the cage is under 20 cm tall. If a pet exceeds 5kg, you have two options; your pet can either be checked and transported or you should find an airliner which allows a pet of that weight. If the pet needs to be checked and transported you should purchase a mobile kennel made of paper at the information desk center of the airline. T’way airline allows you to travel with pets even up to a maximum weight of 7 kg as its cargo does not have an oxygen supply system. 5. What is the economy class baggage allowance of airlines in Korea?